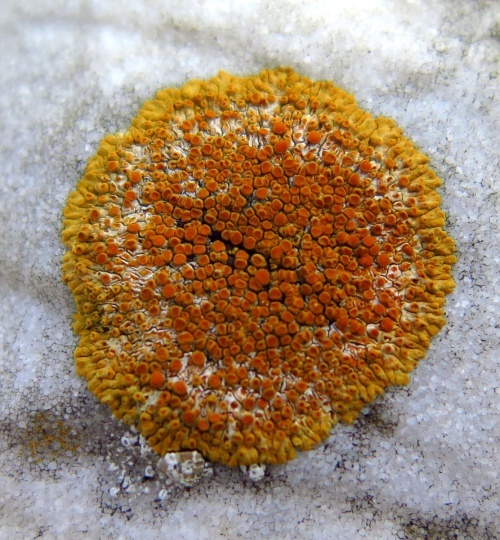 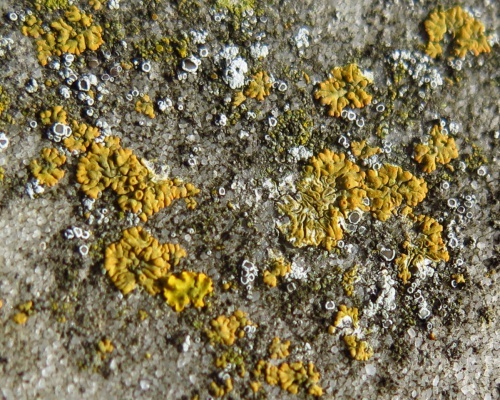 This lichen may vary in colour from pale yellow to orangey brown. It is crust forming but is lobed at the margins. Up to 2cm wide and typically pruinose. 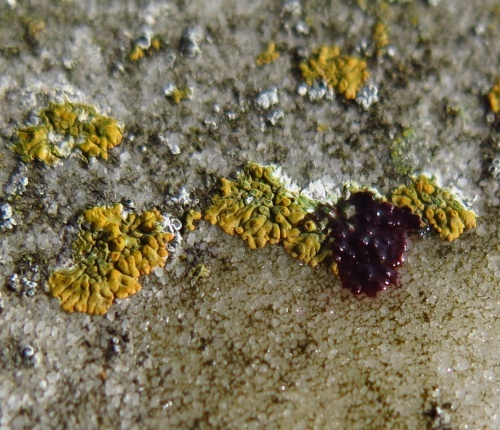 On cement, concrete and calcareous rocks, walls and monuments. Widespread, generally common in Britain but less so in the west.